Arepa (Spanish pronunciation: [aˈɾepa]) is a type of food made of ground maize dough or cooked flour prominent in the cuisine of Colombia and Venezuela. It is eaten daily in those countries and can be served with accompaniments such as cheese, cuajada (fermented milk) or avocado, or split to make sandwiches. Sizes, maize types, and added ingredients vary its preparation. 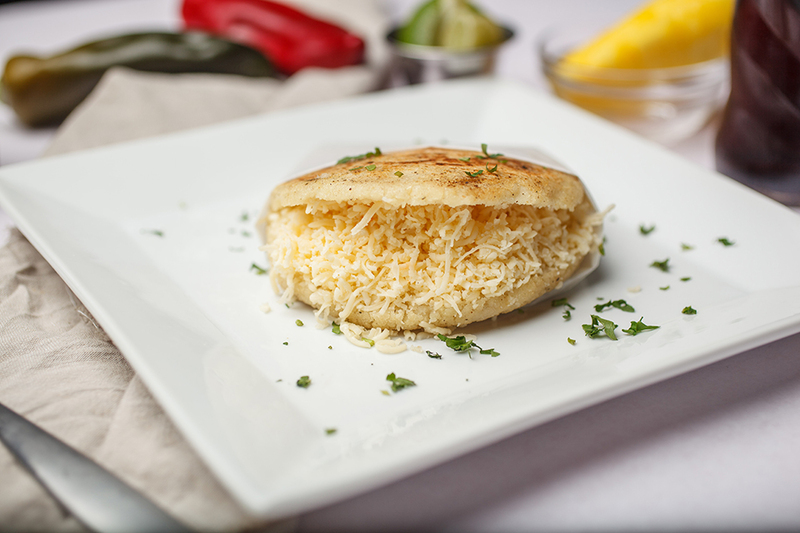 Arepas can also be found in the Canary Islands.It is similar in shape to the Mexican "gordita" and the Salvadoran "pupusa". pre-Hispanic foods still popular in Venezuela. Tostones (Spanish pronunciation: [tosˈtones], from the Spanish verb tostar which means "to toast") are twice-fried plantain slices. Most commonly known as tostones (in Puerto Rico, Jamaica, Honduras, Nicaragua, Cuba, Dominican Republic and Venezuela), they are also known as tachinos or chatinos (in Cuba), Platano frito (Dominican Republic), bananes pesées (Haiti), patacón pisao in Colombia and patacones (in Panama, Venezuela, Costa Rica, and Ecuador). Latin American cuisine is the typical foods, beverages, and cooking styles common to many of the countries and cultures in Latin America. 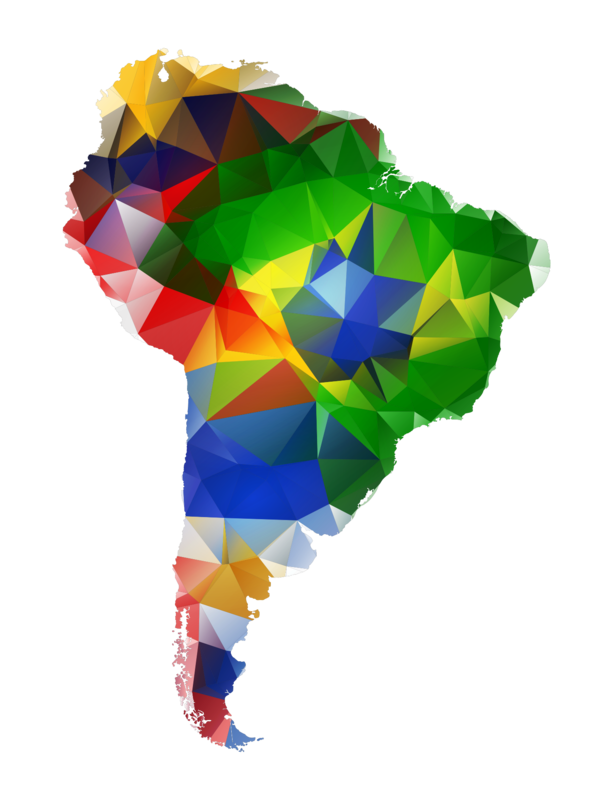 Latin America is a highly diverse area of land that holds various cuisines that vary from nation to nation. 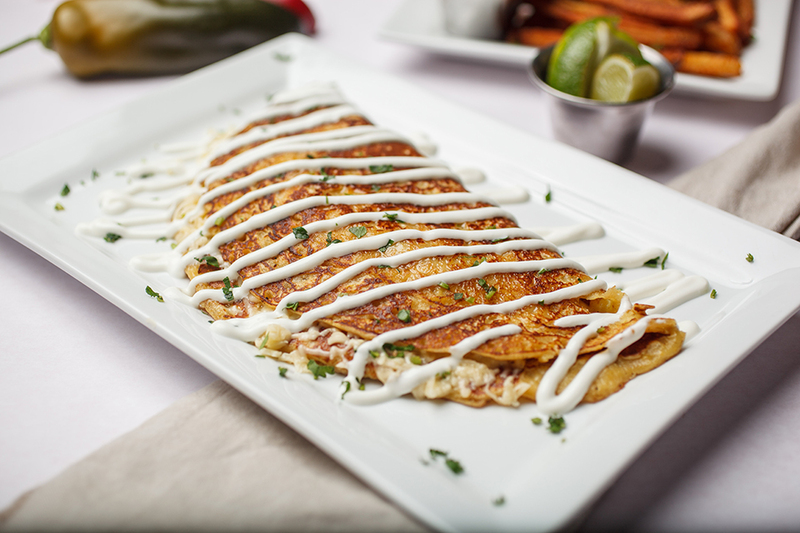 Some items typical of Latin American cuisine include maize-based dishes arepas, pupusas, tacos, tamales, tortillas and various salsas and other condiments (guacamole, pico de gallo, mole, chimichurri, chili, aji, pebre). These spices are generally what give the Latin American cuisines a distinct flavor; yet, each country of Latin America tends to use a different spice and those that share spices tend to use them at different quantities. Thus, this leads for a variety across the land. Sofrito, a culinary term that originally referred to a specific combination of sautéed or braised aromatics, exists in Latin American cuisine. 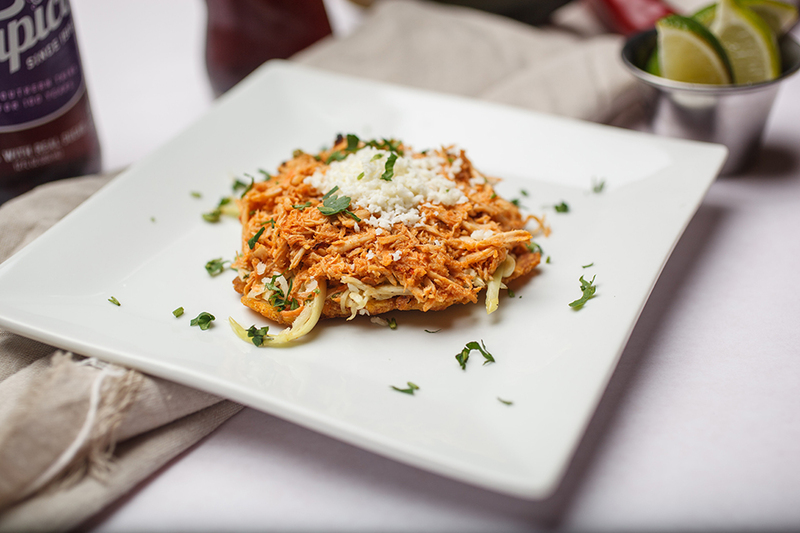 It refers to a sauce of tomatoes, roasted bell peppers, garlic, onions and herbs. Latin American beverages are just as distinct as their foods. Some of the beverages can even date back to the times of the Native Americans. Some popular beverages include coffee, mate, hibiscus tea, horchata, chicha, atole, cacao and aguas frescas. Desserts in Latin America are generally very sweet in taste. They include dulce de leche, alfajor, rice pudding, tres leches cake, teja and flan.